Please let us know what the ideal day(s) and time(s) are for you, and we’ll do our best to find a class that fits with your schedule & your child’s appropriate swim level. We want to make this registration process as easy as possible. 🙂 Classes run once per week for 30 minutes. You only pay for the classes that are remaining in the session at the time of registration. Each new session you can sign up for the next set of lessons. Please call us at #262-512-7946 for session fee pricing because the fee will be based upon the remaining classes left in a session. We also charge a separate, annual registration fee per student. This annual registration fee will cover any/all sessions during that calendar year. We apologize for any inconvenience, but we do not have online registration sign-up at this time. We find it necessary to communicate with each family personally to make sure we are getting each child into the proper swim level & best overall class fit. Please call us at #262-512-7946 or stop by the front desk to get the registration process started. You also receive free open swim for your immediate family (up to 4 members) while you are registered in our swim program. Free family open swim is offered Fridays 6:30pm – 8:30pm & Saturdays 1pm – 2:30pm. 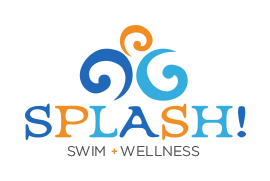 Please note our open swim rules : a parent must be in the water with children ages 12 & under, no mermaid tails or flotation devices allowed that are not Coast Guard approved, and children who are not potty trained must wear re-usable swim diapers. Thank you for your understanding. VERY IMPORTANT REFUND POLICY– PLEASE NOTE! We have a 48 hour refund policy for the session fee. After that we do not refund the session fee, but we can move you to a different spot in the schedule (as long as there is space.) We do not refund the annual registration fee, after you have registered; but the annual registration fee is good for any other session joined later that calendar year. If an unforeseen family/medical emergency takes place, that is different. We take this on a case by case basis, and do give session refunds or credit in situations like these. Thank you! *Camps run for 2 weeks, Monday – Friday (30 minutes daily).